What your life and your world will be in a thriving future where all survive and thrive forever, to the maximum extent possible. This future is Thrive! and is a bold vision and mission. For you and your family, this future is a better life now and for the near and long term future for all of you and for future generations. 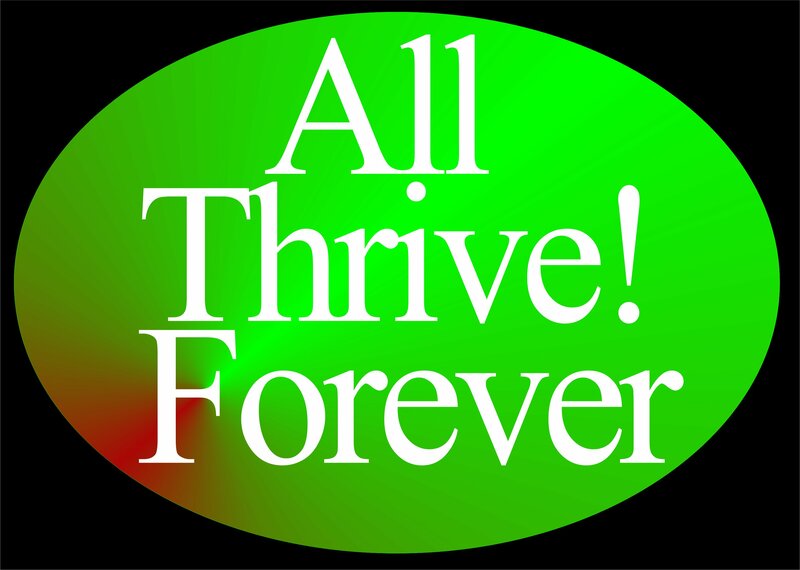 Thrive!, a thriving future, is different and arguably better than anything tried or achieved in human history. Not just getting by or achieving a surviving future. It is this future for all people and all future generations, a "50+ generation" strategy. Not just for some people or just for the current and next generation. It is this future forever, a 1000+ year strategy. Not just for today or just 100 years. It is also for Earth on which we live and depend, not just for people.